KXPD is a broadcast radio station in Tigard, Oregon, United States. As part of G&E Studio, KXPD provides Chinese Entertainment, and News and Talk shows ... See more about China to the Portland, Oregon area, with content from EasyFM, an English-language broadcast radio station from China Radio International (CRI), Beijing, China. Promote culture exchange and integration between East and West, through professional management of omnimedia. 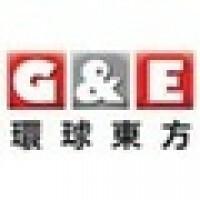 G&E Studio will bring the most awesome video productions in both Chinese and English. Want to find out more about Chinese pop culture? Want to know more about what happens in LA local communities? Want to get news about Chinese celebrities? We have the content which will satisfy your viewing pleasure from every angle. What are you waiting for? Subscribe now and get the most awesome information on the web! Act now LIKE and SHARE!